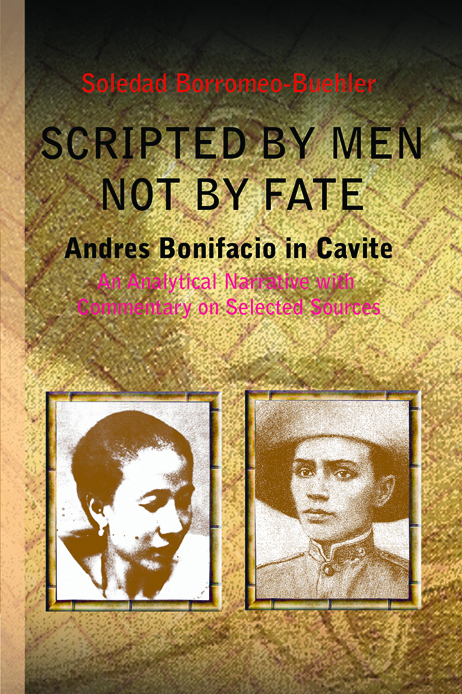 This is an analytical study of crucial documents that shed light on the last few months of Andres Bonifacio’s life in the province of Cavite. On the basis of its findings, the study calls for a drastic revision of the historiography of those events dealing with the life of this national hero and the fate of the Philippine Revolution of 1896-97. Internal analyses of key documents, mainly memoirs, indicate massive distortion of history by means of forged documents and manipulated records, particularly the so-called Bonifacio letters. The study shows, among other things, that Emilio Aguinaldo availed himself of invented stories and speeches in his memoirs.Presented in chronological narrative form, this study focuses on the controversial Tejeros Convention of 25 March 1897 and its aftermath: the clandestine oath-taking ceremony in Tanza, the railroading of the establishment of a so-called “Philippine Republic” in Naik on 21-22 April 1897 that culminated in rebel capitulation to the Spaniards led by Emilio Aguinaldo and his partisans at Biac na Bato. The study explains how one man supported by his military clique was able to do all this. A conspiracy to eliminate Andres Bonifacio as supreme leader of the Philippine Revolution was hatched while Cavite was in the throes of the uprising. Lies were circulated to malign the Katipunan Supremo; soldiers on both sides of the political divide (Magdalos and Magdiwangs) were corrupted; overwhelming military and political advantage were used to intimidate people, that in the end tilted the balance of power in Cavite in favor of Emilio Aguinaldo and his supporters. Soledad Borromeo-Buehler is the granddaughter of Guillermo Masangkay, a Katipunero who worked closely with Andres Bonifacio from the earliest days of the Katipunan, participated in the events in Balintawak in August 1896, in the rebel effort to attack Intramuros on 29-30 August 1896, and who nearly lost his life in the battle of Zapote against the forces of General Lawton in June 1899. Borromeo-Buehler had her preparatory education at Centro Escolar University and received her bachelor’s and master’s degrees in history from the University of the Philippines. She was a member of the UP History Department prior to her departure for the United States on a Fulbright-Hays scholarship and received her PhD in history from the University of California at Berkeley in 1972. She wrote about the Japanese and the Davao land problem, 1901-1941, for her master’s thesis, and the social and economic history of Cavite entitled “El Cadiz Filipino: Spanish Colonial Cavite, 1571-1896” for her doctoral dissertation. The author also had her teaching assistantship in the History Department of the University of California in Berkeley, taught at various times at the College of Alameda, San Jose State University, and the San Francisco State University.